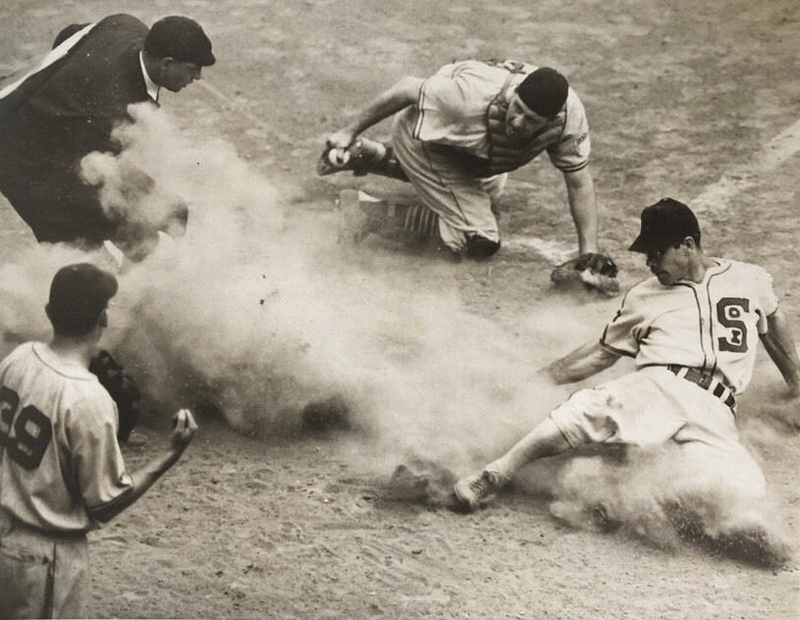 Sunday, June 25, 1944, Comiskey Park in Chicago, Game 2 of a doubleheader between the White Sox and Indians, bottom of the 5th inning and Thurman Tucker deftly slides by Cleveland’s Buddy Rosar for one of baseball’s most thrilling plays, an inside-the-park home run, as ump Charlie Berry eyes the play and Tribe rookie hurler Ed Klieman looks on in vain. A beautiful photo framing all sides of the action, from the Associated Press in Chicago (photographer unknown). In 1944, Thurman Tucker was in the midst of his finest season as the starting center fielder for the White Sox. He admittedly was among many major leaguers who were given a chance in the bigs due to many MLB stars already off to serve in WWII, and after a little over a season with Chicago, making a name for himself primarily with his glove, he was planning to enlist himself in 1944, even having passed a physical for the US Navy before the season. However, while waiting for a call-up, he returned to the Sox for 1944, and his offense finally sparkled in the early going – hitting .400 as late as June 3rd, he was still at a heady .354 coming into the June 25th doubleheader. His fast start earned him his only career All-Star selection, and he would lead off the game at the 1944 Midsummer Classic at Forbes Field on July 11 (although go 0-4). Tucker would tail off in the second half, but still end the season at a respectable .287. He would finally join the Navy at season’s end, and after spending 1945 in the military, returned to the White Sox for 1946, and again hit well with career highs in average (.288) and doubles (20), although, unlike 1944, he had a terrible start and strong second half at the plate. Unfortunately, his 1947 season was slowed by injury, and he would lose his starting CF job as he fell to .236. 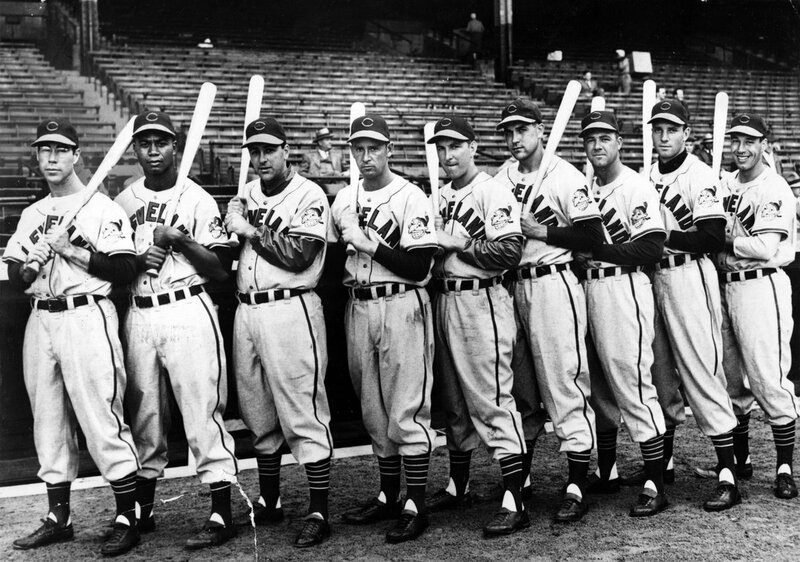 Your 1948 Cleveland Indians: L-R – Thurman Tucker, Larry Doby, Lou Boudreau, Joe Gordon, Allie Clark, Eddie Robinson, Ken Keltner, Jim Hegan, and Bob Feller. In 1948, he was traded to the Cleveland Indians, beginning the year as their starting CF, but after further injuries and the rise of Larry Doby, he was relegated to fourth outfielder status, but did contributed to their AL Pennant run, playing and starting in Game 6 of the World Series, going 1-3 with a walk and run scored as the Indians won the 1948 Championship, earning Tucker his only WS ring. Continued decline in 1949-1950 sent Tucker to the minors in 1951, never to return. A native Texan, he would later become one of the first scouts for the first MLB team in the Lone Star state, the Houston Colt 45’s (later the Astros), in 1962. It’s a bit surprising that Buddy Rosar couldn’t make the putout at the plate that day, as he was regarded as one of the best defensive catchers of his generation. 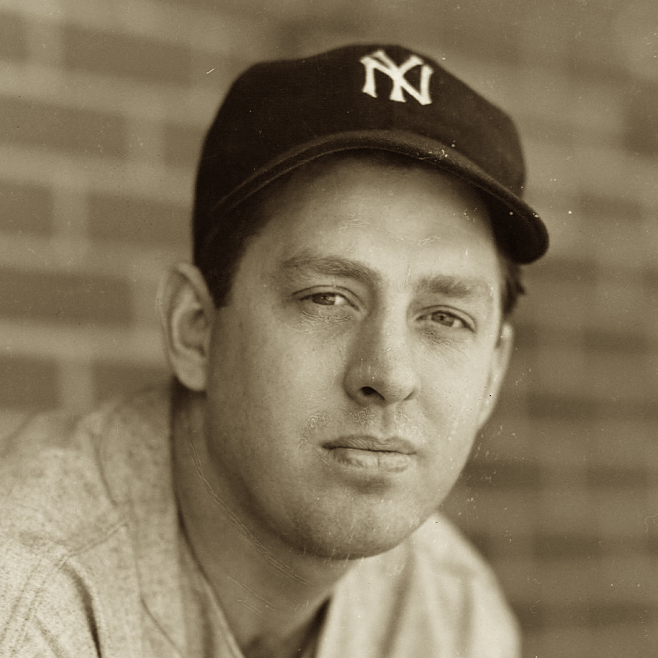 As a Yankees farmhand, he got a taste of success early as a member of the 1937 International League Champion Newark Bears, considered one of the best minor league teams of all time. While missing a promotion to the big club in 1938 due to a spring injury, he kept interest high by batting .387 at Newark in 1938, best among all AA players. Rosar finally did get that promotion for 1939, but as the backup to now Yankee legend Bill Dickey, playing time would be limited, despite often having offensive numbers well above Dickey’s. Nevertheless, he helped the Yanks to two World Series Championships in 1939 and 1941 (although he did not play in the 1939 World Series), and was well known around the league as a good bat and exceptional glove; so much so that he was chosen as a reserve for the 1942 All-Star squad, his first of 5 selections. And as the heir apparent to Dickey, Rosar may have become the Yankees’ starting catcher and star for many years to come, except for an unfortunate incident in July 1942; Rosar had asked Yankees’ manager Joe McCarthy if he could leave the team for his home town of Buffalo to take a police entrance exam, and also for the birth of his fifth child. Permission was denied by McCarthy due to an injury to Dickey, but the unconcerned Rosar left anyway. He was fined upon his return, but McCarthy didn’t forget the slight, and at season’s end was traded to the Cleveland Indians (a decision that reportedly McCarthy came to regret). Despite initially continuing as a backup for the Indians, he was batting over .300 by midseason, supplanting Gene Desautels as starter and again being chosen as an All-Star for 1943. 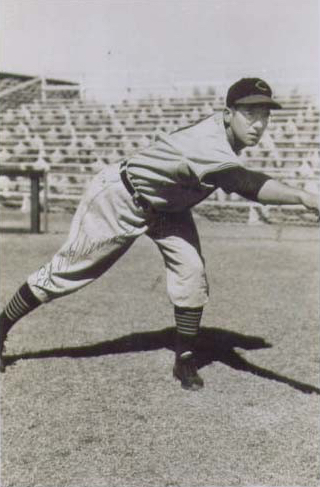 In early 1944, however, the war intervened, and Rosar began work at a Buffalo war materiel factory; initially refusing to quit the job to return to the Indians that season, he had a similar job arranged for in Cleveland, although it resulted in limited playing time, as he wasn’t available to the club most weekday games. This difficult situation, along with a salary dispute in spring 1945 as he again refused to leave his offseason Buffalo job, resulted in a trade to the Philadelphia Athletics by mid-1945. 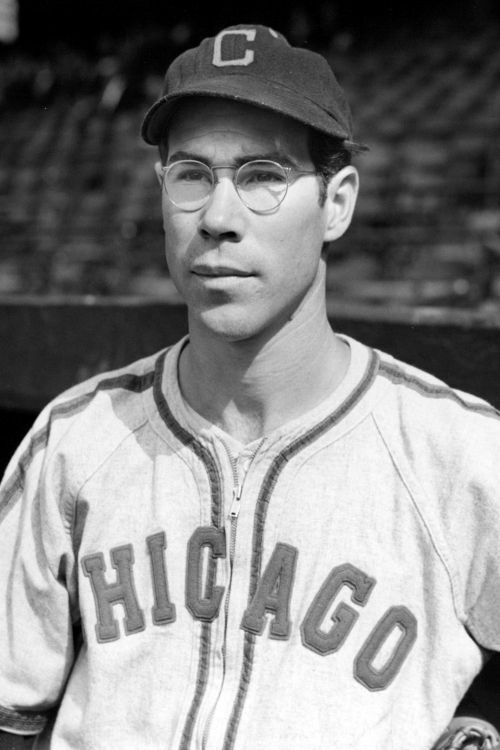 With the war ended, Rosar hit his stride with the Athletics, especially in 1946, where he batted among the league leaders and had no errors for the entire season, only the sixth time in history (minimum 100 games played) that a catcher has achieved that feat (and the only catcher until 1997). His exceptional defensive play extended into 1947, when his then-record 147 games errorless streak was finally ended, and he earned another All-Star selection, this time starting the game for the AL squad. Despite another All-Star selection in 1948, his skills began to erode with age, and, after spending 1950 and 1951 with the Red Sox, was released after the 1951 season. But along with his defensive achievements mentioned above, he is also third in history in caught-stealing percentage (54.81%) behind only Roy Campanella and Gabby Hartnett, first in double plays-to-errors ratio in history, and has the lowest passed balls ratio of players of the 20th century. 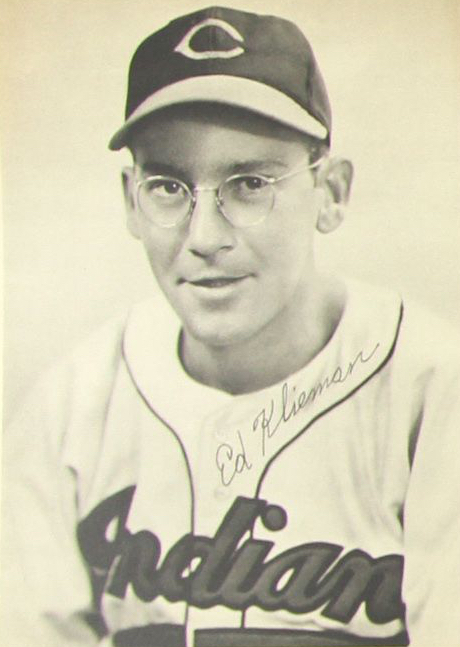 Ed Klieman would spent the majority of his career with the Cleveland Indians. Having been signed at 19 to the Cincinnati Reds organization in 1937, he was swapped to Cleveland’s farm system in 1940 and eventually rounded into form, culminating in a 23-11 for the Indian’s AA club in 1943. That, and a one-start cup of coffee late that season resulting in a complete game, earned him a roster spot for 1944. With a so-so first start, he was moved right into the bullpen, but there Klieman did very well, with a stellar 1.61 ERA in late May after 10 appearances. With a still-impressive 2.27 ERA by mid-June, manager Lou Boudreau put him back into the starting rotation on June 18th, allowing only 2 runs in a good start although resulting in a no-decision. His second start, and third career start, would be the June 25th contest. Although he faded in September, losing 5 decisions in a row at one point, he would finish 1944 with a fine 3.38 ERA, 1 CG shutout and 5 saves, despite an 11-13 record. He’d return mostly to bullpen duty in 1945 with a half-run jump in ERA, and spent most of 1946 back in the minors. 1947, however, would be Klieman’s finest season – now in the bullpen full time as the team’s closer, he led the AL in saves with 17, appearances with 58, and his 3.03 ERA was only second to Bob Feller’s on the rising Cleveland club. Despite being supplanted by Russ Christopher as closer for 1948, Klieman improved on his ERA (a career low 2.60) as he was part of a strong bullpen that had 4 ERAs under 3, as the Indians won the 1948 crown. Unfortunately, his only career post-season appearance was not a memorial one – coming in in Game 5 in the one 1948 WS contest that got away from the Tribe (in front of a then-record crowd of 86,288 in anticipation of the Indians wrapping up the Series), Klieman relieved Bob Feller, who had uncharacteristically been ineffective and was on the short end of a 6-5 score in the 7th – and didn’t retire a batter (walk, single, walk). He left with the game at 8-5, a postseason ERA of infinity, and the Indians eventually lost to the Braves 11-5. But no matter, the Indians won Game 6 back in Boston, Cleveland got their championship, and Klieman got his ring. Maybe as a portent of things to come, his career spiraled sharply downward after that – he was traded to Washington for 1949 but waived after two dismal appearances, ended up on the White Sox for the rest of the season, was traded to the A’s for 1950 but released mid-season with an ERA over 9, and his career was over. Charlie Berry is among the rarest of sports figures – careers in both MLB and the NFL, as both a player, and officiator (so 4 careers in all!). An All-American end at Lafayette College in 1924, he played for the NFL’s Pottsville Maroons in 1925 and 1926, leading the league in scoring in 1925 with 74 points as the Maroons won the league championship. Also in 1925, the Maroons played a contest against an All-Star team from Notre Dame, featuring the famed Four Horsemen. With college football felt to be superior to the NFL at that time, Berry kicked a 30-yard field goal to cap an improbable 9-7 victory over the Irish. While this non-sanctioned game gave the league reason to rescind the Maroons’ NFL title, the fledgling league was otherwise given much credibility with the surprising result. While his NFL career was short-lived, he certainly made his mark in football, and is a member of the College Football Hall of Fame. Before his NFL career was underway in 1925, he was also signed to play for the Philadelphia Athletics, playing 10 games and batting an unimpressive .214 that year. Playing in the minors during his NFL career, he returned to the majors in 1928 with the Boston Red Sox, who had purchased his contract. 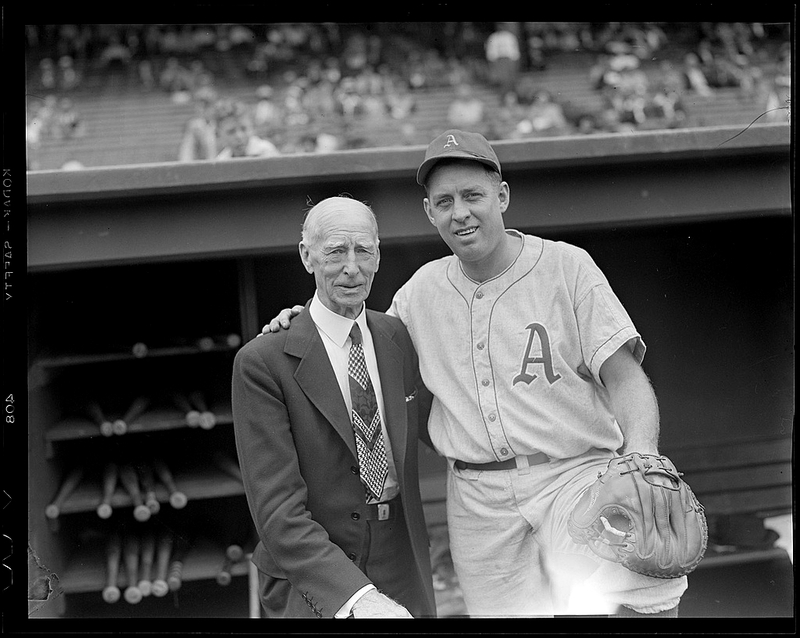 He had a pretty good career alternating between a starting and backup catcher, playing 13 seasons with the Red Sox, White Sox, and again the Athletics, retiring from playing in 1938 (the last two years also serving as an A’s coach) with a career BA of .267, his finest season probably 1931, with a 6/49/.283 line for the Boston AL club. Berry would coach and manage in the minors through 1940, but in early 1941 took a position with the NFL as a head linesmen for the upcoming season. That same year, he started as a umpire in the Eastern League. He rose rapidly in both sports, being promoted to the AL in 1942, and officiating the NFL Championship Game that same year. Berry did his part for the war effort as well, joining US Army special services in 1945 and traveling abroad to visit the troops. Berry umpired 4 no-hitters, 5 All-Star games, and 5 World Series, and officially retired from baseball umpiring in 1962. In the NFL he would enjoy 24 seasons of officiating, including also being the head linesman in the 1958 Championship Game, the sudden-death thriller that became known as the “Greatest Game Ever Played”. Back at Comiskey Park and that doubleheader between the White Sox and the Indians on that early summer Sunday, Thurman Tucker’s inside-the-parker also scored Wally Moses ahead of him to break a 1-1 tie and make it 3-1 Sox in the 5th inning. The Indians would come right back and tie it in the 6th with a 2-run single from none other than Buddy Rosar, off Cleveland’s rookie hurler Eddie Lopat. But, Ed Klieman, again in only his third major league start, would give up another run in the 6th, leaving on the short end of a 4-3 score. Then, fate intervened. With the Indians batting in the top of the 8th, and a man on with 1 out, and Rosar next to bat, a downpour necessitated the game to eventually be called on account of rain – but not without a protest from Cleveland, asserting that the White Sox and Comiskey Park did not maintain an adequate crew to properly cover the field. In any event, the White Sox would complete a sweep of the doubleheader (having also won Game 1, 11-0) to pass both the Yankees and Red Sox and move into second place, 4 games behind the surprising St. Louis Browns (both the White Sox and Indians would eventually fall into the second division as the Browns held on to win the AL pennant, by only one game over the Detroit Tigers). Thurman Tucker would go 4-7 with 4 RBI in the doubleheader for the locals, in anticipation of his first All-Star appearance in Pittsburgh in 2 weeks, but probably more so his impending induction into the Navy and World War II, which still raged on despite the welcome news of D-Day three weeks prior. Buddy Rosar had a long day, despite a couple of RBI having to catch both ends of the doubleheader, but first thing Monday morning the father of five would be back at his war job instead of an MLB clubhouse. Ed Klieman would drop to 4-4, but despite the rain-shortened loss he’d had a strong rookie season so far, although was undoubtedly concerned that any setback as a starter may put him right back in the bullpen. Charlie Berry was also looking forward to his first All-Star game, in Pittsburgh, as an umpire, but maybe also his upcoming involvement with the Army and the troops the following year. 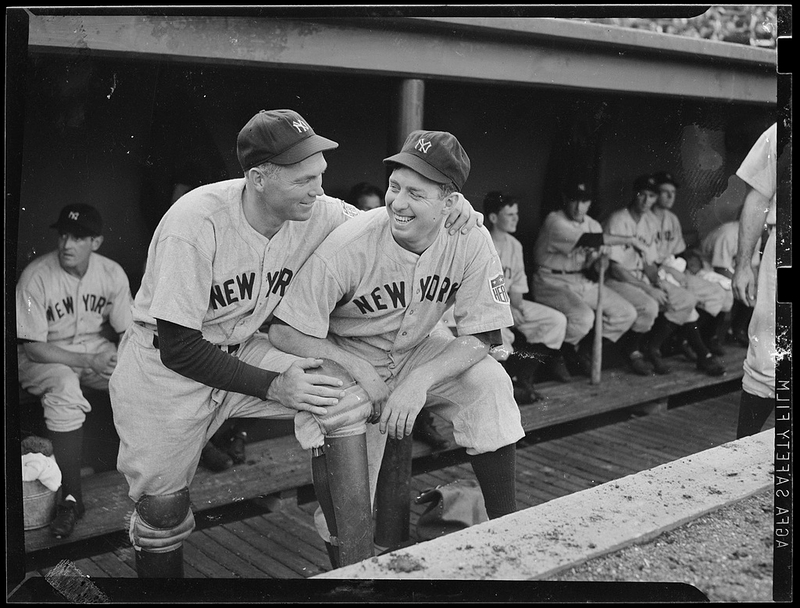 At any given Moment in Time in baseball in 1944, one’s fate was affected by personal achievements, by failures, by the ravages, the inconveniences and uncertainties of a never-ending war, or, as so often on a baseball field, simply by rain. These wonderful memories within these articles would make a great book of which I would purchase. Great Job. Keep them coming.